Alstom today inaugurated the first cross-border tramway between France and Germany in the presence of Peter Altmaier, Federal Minister and Director of the Federal Chancellery of Germany, Robert Herrmann, President of the Strasbourg Eurometropole, Roland Ries, Mayor of Strasbourg, Toni Vetrano, Mayor of Kehl, Alain Fontanel, President of the CTS (Compagnie des Transports Strasbourgeois) and François D’Hulst, French Local Authorities Key Account Director at Alstom. 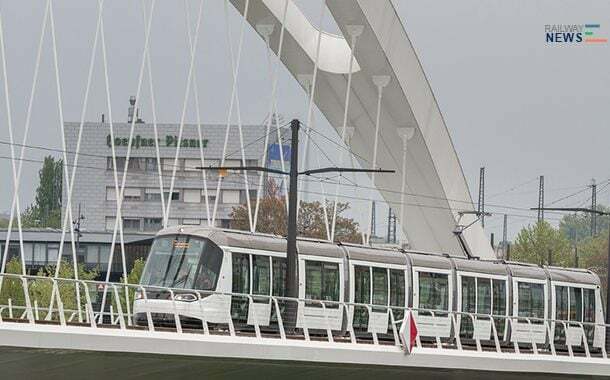 The first passengers will cross the bridge of the Rhine from Saturday 29 April aboard one of the 12 Citadis trams already delivered. The new Citadis trams are in circulation today on the extension of line A , which runs towards Illkirch-Graffenstaden, and that of line D, which links the centre of Strasbourg to Kehl in Germany. [quote font_size=”16″ arrow=”yes”]”It is a source of great pride for Alstom to be part of the first cross-border tramway project in France. 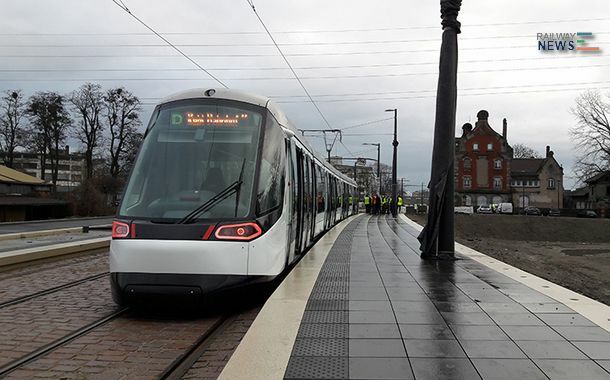 The technical qualities and modularity of the Citadis solution make it an ideal choice for the link between Strasbourg and Kehl, meeting the specific requirements of each of the two countries,”[/quote] says Jean-Baptiste Eyméoud, President of Alstom France. The Citadis trams of Strasbourg are the first trams to receive BOStrab German federal regulation approval, covering the manufacture and operation of trams in Germany. 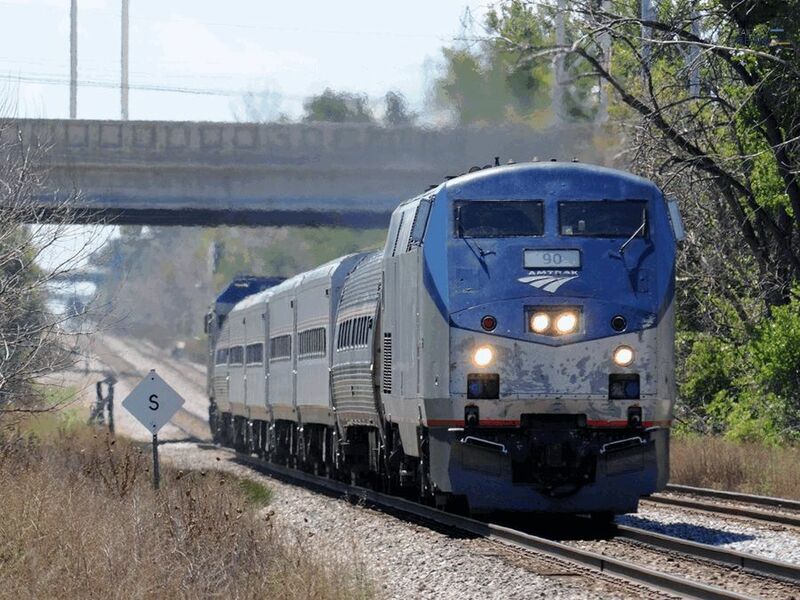 Alstom’s infrastructure teams also designed and installed the overhead contact line and the rail track that runs over the cross-border bridge. The trams are 45 metres long and have the capacity for 288 passengers. They are equipped with LED lighting and full glass doors to enhance passengers’ feelings of comfort and safety. In line with PRM (Persons with Reduced Mobility) regulations, the trams are equipped with accessible door openers, wider seats and specially reserved areas for wheelchair users and passengers with strollers. These trams are made in France: La Rochelle (design and assembly of the trams), Ornans (design and manufacture of the engines), Le Creusot (bogies for the intermediate modules), Tarbes (elements of the traction chain), Villeurbanne (electronic equipment), Saint-Ouen (the design) and in Germany at the Salzgitter site for the bogies located under the driver cabins.